Vaccinations are an important part of responsible cat ownership. You may have heard that there are risks associated with vaccinations, but these are rare and most are generally mild. Because vaccinations work by engaging your cat's immune system, they can cause some cats to have a reaction. Says Dr. Megan Teiber, cat veterinary consultant for TuftandPaw, "Cats rarely have adverse reactions to vaccinations. The incidence of vaccine reactions is thought to be less than one percent. One study determined an incidence of 51.6 per 1000 cats." Most of these reactions are relatively mild while a tiny percentage may be more serious. How Long Do Cat Vaccine Side Effects Last? In general, most a cat's mild symptoms should get better in about 24 hours. If they continue longer, contact your veterinarian for a consultation. The only symptom that may last up to two weeks is the nodule where the cat was injected. If you notice that it is not slowly shrinking, last more than two weeks, or swells and the are looks irritated, contact your veterinarian for help. 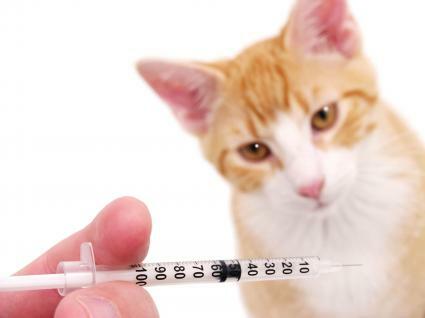 More serious side effects to cat vaccinations can occur the same day as the injection. They will last until treated by a veterinarian. It's important to call your veterinary right away before these side effects become worse. Treatment for cats with mild reactions can be done at home, although it's a good idea to let your veterinarian know what is happening in case, she has additional advice and possible medication. For inflammation where your cat received his injection, apply a warm, damp towel to the area for a few minutes. Gently massaging the area can also help. If your cat appears unusually tired or lethargic, let him find a comfortable place to sleep and keep an eye on him. If your cat will not eat, try to give him a small amount of canned food. If still refuses, leave him a bowl of water. Dr. Teiber states that "The most common treatments include injectable antihistamines (Benadryl) and steroids. Anti-nausea or pain medications may be given if warranted." She also notes that "Mild reactions may improve with no treatment at all." This is an intense allergic reaction to the vaccination. It can be fatal if not treated immediately. Approximately one out of every 15,000 cat vaccinations can result in anaphylaxis. "More serious allergic reactions may require fluids, airway dilators, and epinephrine," says Dr. Teiber. Your veterinarian may also recommend a few days of hospitalization to monitor the cat's condition and provide regular IV fluids. Tumors may develop at a rate of one in 5,000 to 10,000 cats and are usually seen with the FeLV vaccine. These tumors are not likely to develop right away and may take several years to develop. However, there is no definite proof that tumors are related to injections in cats. These tumors are called a fibrosarcoma and a feline injection-site sarcoma (FISS). Your veterinarian may try to remove the tumor with surgery. Since this type of tumor makes surgery rarely possible, chemotherapy may be used as a treatment. Because fibrosarcoma are difficult to remove, the FeLV vaccinations are often given in one of the cat's back legs or their tail. This is done so that amputation may be a last resort treatment that will allow the cat to live a normal life. Keep in mind that it may be entirely coincidental that these diseases manifest within a short time frame after vaccinations. Despite the known risks of vaccinations, the potential for catching deadly diseases without vaccination is far greater. Protecting your cat from Feline panleukopenia virus, Feline Herpesvirus, Feline Calicivirus, and Feline Leukemia, among others is a critical part of responsible cat ownership. The American Veterinary Medical Association (AVMA) states that "Experts agree that widespread use of vaccinations within the last century has prevented death and disease in millions of animals. Vaccinations protect your pet from highly contagious and deadly diseases and improve your pet's overall quality of life." 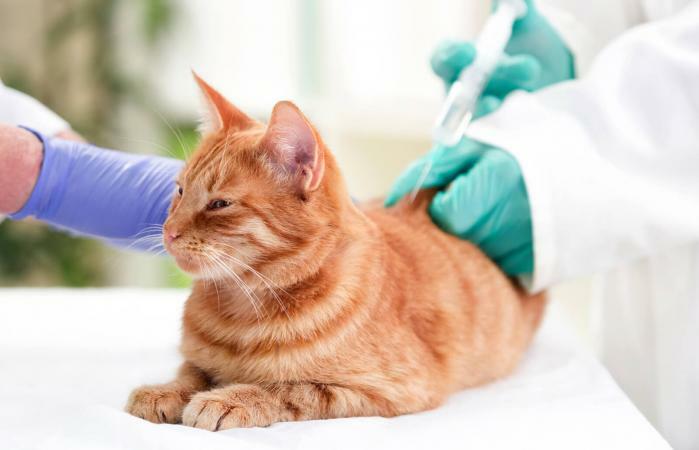 It's important to discuss with your veterinarian any concerns you may have about the risks associated with a small percentage of cats and vaccinations. While the potential for problems is there, your cat faces a far more serious risk of fatal diseases and vaccinating is the right thing to do to protect his health and ensure a long life.